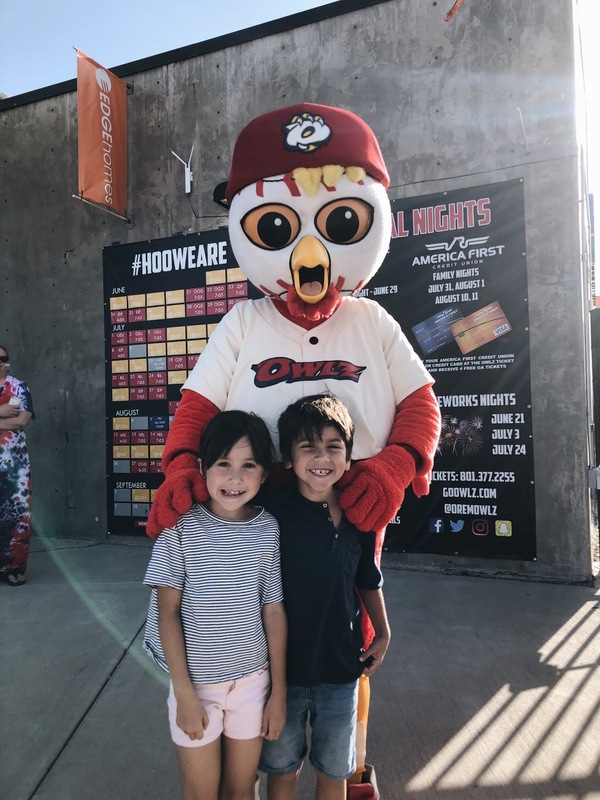 We recently had a family date at the ballpark, and had a wonderful time cheering on the Orem Owlz! 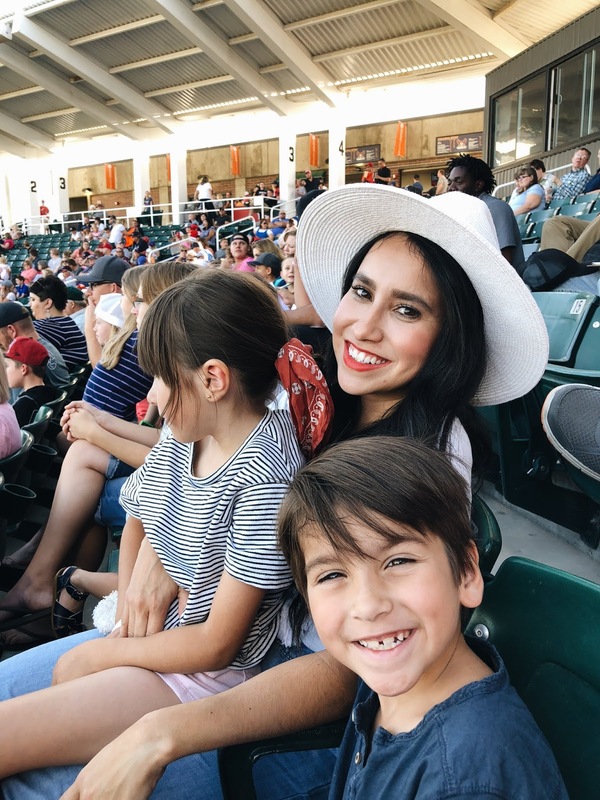 It was our first time catching a baseball game this summer, and Oscar's very first baseball game! I couldn't tell if he was more excited about the game, or all the snacks! Haha. 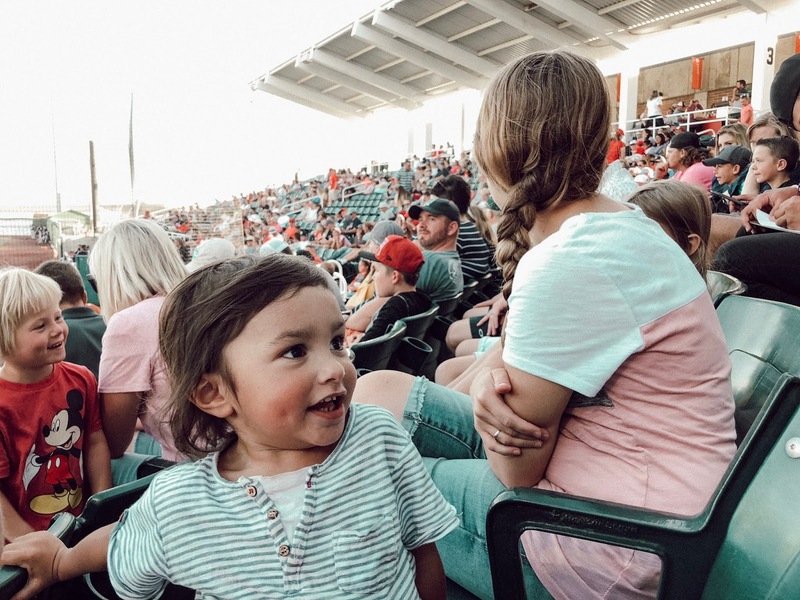 Nachos and some Cracker Jack-- this kid was in heaven! And he kept stealing fries from the random guy sitting next to us! In between innings, we got up to stretch our legs and take in some different views of the field. 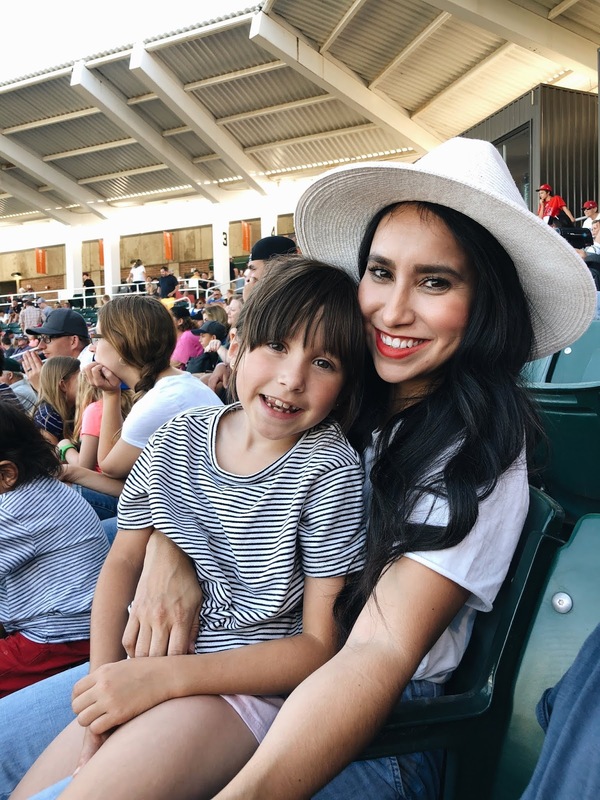 Pato is a huge sports fan, and kept asking all sorts of questions about baseball throughout the game. It's a good thing Chris was there to answer them all! The kids and Rowly! So, interesting thing about this picture is that Pato actually loves mascots, and Sof is absolutely terrified of them. When she saw her brother taking about to take a picture with Rowly, she decided at the last second to hop in! 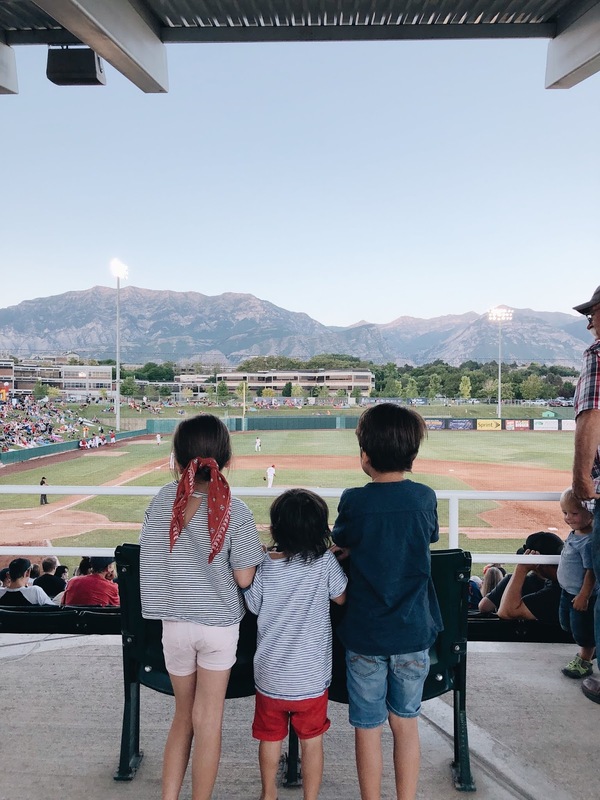 Thanks so much for the fun evening, Orem Owlz!